Every time Apple releases a new iPhone, a few things are guaranteed: It will be the best version of it they ever made. Its processing and graphics power will make the model it replaces look like garbage. And the base model will come with way too little storage. Much to the chagrin of would-be buyers, Apple refuses to let go of the lowly storage option it introduced with the iPhone 4. Even the iPhone 6s Plus, which costs $100 more than the smaller iPhone 6s, still offers a paltry 16GB of storage, all but forcing anyone choosing the productivity-minded phablet to spend yet another $100 on the much more palatable 64GB model. With such a wide gap between the bottom and middle tiers of iPhone, Apple clearly has an up-sell strategy, but the fact of the matter is, as long as a 16GB iPhone is available, people are going to buy it. Whether its due to preference, naïveté or plain old penny-pinching, there are a lot of 16GB iPhones out there, and with a brand-new iPhone SE set to hit shelves next week, there’s no reason to doubt that the iPhone 7, 7s, and 8 will continue the trend. But if Apple plans on continuing to offer a 16GB iPhone, it doesn’t have to be the runt of the litter. With a few tweaks and additions to iOS, Apple could keep churning out low-end models at attractive prices without inflicting a crippled handset on its trusting buyers. And quite frankly, some storage smarts wouldn’t hurt the upper models either. When the new Apple TV landed last year, it brought back the hard drive that had been missing from previous generations. Just two sizes are offered, and the upper model tops out at just 64GB, a paltry amount compared to the 500GB Xbox and PlayStation consoles. But that isn’t Apple being stingy. Thanks to a technology called app thinning and slicing, even the most intense tvOS games are limited to how much space they can use on your Apple TV’s hard drive. To get around the initial download cap, apps and games can access resources stored in the cloud, which are only downloaded when needed and purged after use. The effect on gameplay and performance is negligible, and it ensures you won’t be stuck staring at a spinning wheel while the movie you want to watch struggles to find usable cache space. Apple’s app thinning tech actually began as an iOS 9 feature, but the implementation hasn’t been as strict on mobile devices. Five apps on my iPhone clock in at more than 1GB apiece; together they’d eat up nearly half of the available space on a 16GB phone. 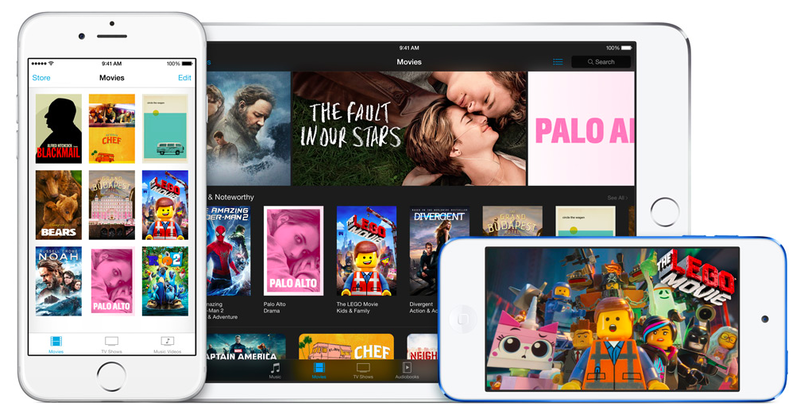 By implementing a hard limit on download size and utilizing on-demand resources in the same way Apple TV does, Apple could open up the low-capacity iPhone to a far greater array of apps and instantly cut down on the “storage almost full” messages, although those apps would become hard to use off the grid. Aside from apps, the two biggest space eaters on our iPhones have always been music and movies. On a 16GB iPhone, a couple of movies and a few hundred songs dramatically lessens free space, requiring constant vigilance and severely limiting on-the-go libraries. Please, Apple, figure out some genius way to make streaming movies anywhere as easy as streaming music. But while Apple Music and iTunes Match have allowed the smallest iPhones access to millions of songs, movies are still capacity cloggers. Apple does allows iCloud streaming in the Videos app over WiFi, but if you want to watch The Revenant on a long car trip you’re going to need to remember to download it first, and 16GB iPhone users might have to resort to deleting other shows or movies to free up the significant space it needs. Allowing streaming over LTE (with the appropriate data overage warnings, of course) would help iPhone users of all capacities enjoy the movies they want when they want them without filling up their phones with movies. And even if Apple is going to stick to the WiFi-only restriction, it could help free up space by adding a toggle that allows the Videos app to delete any media that hasn’t been watched over a particular amount of time. Much like iMessages can be purged after 30 days, an expiration date on media would keep the movies from last summer’s road trip from hijacking precious gigabytes. Speaking of Messages, if you like to keep a catalogue of your conversations, a 16GB iPhone poses serious problems. Over time, all those kilobytes can add up quickly, and before long, large chunks of your free space are already gone. But Apple doesn’t have to store old messages locally anymore. iCloud already keeps our entire photo, music and movie libraries from taking up too much disk space on our devices, and it could be used to handle our old messages, too. Instead of setting messages to delete, they could be sent to iCloud where they can be stored in perpetuity for just pennies a month, showing simple previews instead of full images and conversations. 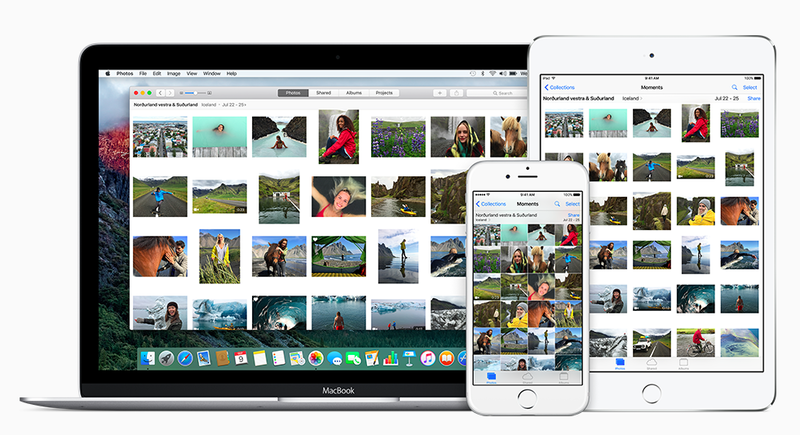 iCloud Photo Library can intelligently manage photos on your devices so they fit the free space. But more controls could empower us to free up that space ourselves, when we need it, without deleting a thing. Aside from Messages, the Photos app is another big space stealer as well, and iCloud could help there too. As it stands, when you delete a photo on your iPhone it gets purged from your entire photo library, meaning that the only way to free up space is to either erase precious memories or suffer the arduous iTunes backup process. But that’s not the case with other media. When you delete a song or a movie, the file isn’t gone forever. While it may disappear from your phone, it simply returns to its home on iCloud, where it stays until you want to watch or listen to it again. That’s how it should be with photos—when tapping the trash icon, a dialog box should ask if we want to permanently delete it or just offload it to the iCloud Photo Library. Thousands of old pictures are already visible on our phones without taking up any space, but letting shutterbugs delete photos without removing them from their virtual lockers would let 16GB iPhone users enjoy their cameras (and their devices) like 128GB users do. As we all know, the 16GB space crunch isn’t a new problem. Back when iOS 8 was released, many entry-level iPhone users struggled to make the leap from iOS 7 due to capacity constraints. Due to the fact that the over-the-air upgrade needed nearly 5GB of free space, many 16GB iPhones didn’t meet the requirements, forcing users to delete photos and apps to clear out enough space—or skip the upgrade altogether. That changed that with iOS 9. With a significantly smaller download and more efficient streaming, Apple made upgrading far less painful, but those who still didn’t have enough space for 1.3GB install weren’t out of luck; Apple developed a system that temporarily deletes apps to make space and reinstalls them once the installation is complete, saving considerable time and hand-wringing. Expanding this idea to the iPhone’s day-to-day use would go a long way toward keeping 16GB iPhones from reaching maximum capacity. Similar to how Low Power Mode shuts off background processes and lessens performance to squeeze as many extra minutes out of the battery as it can, a Low Storage Mode could give iOS the ability to intelligently delete rarely used apps when a device’s capacity dips below a certain level. The worry over space would become a thing of the past, making phones and tablets of all sizes less dependent on gigabytes. These changes could eliminate the need for a 256GB phone and help users make smarter decisions about the capacity they choose. But more importantly, they would make the puny 16GB iPhone SE feel just a little more giant.